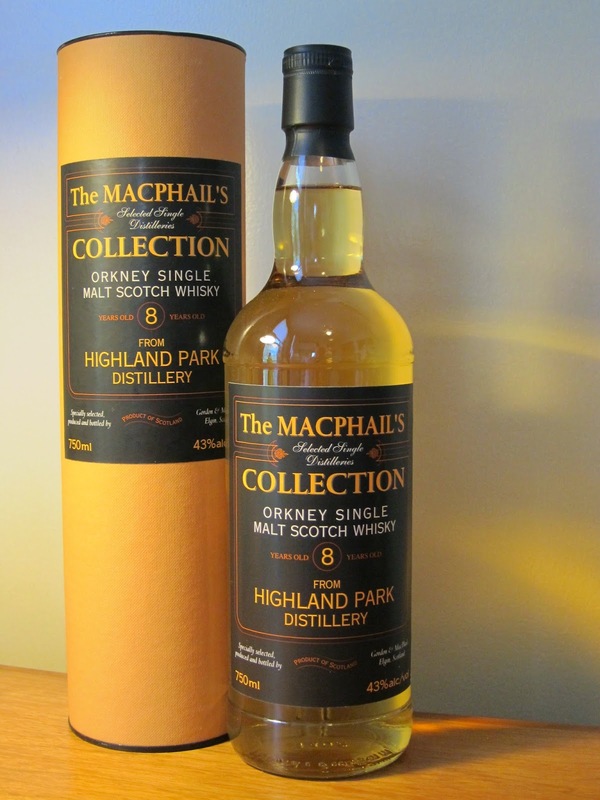 The Macphail's Collection Highland Park 8yo (43.0%): Actually today supposed to be our hiking day in Catskills. But because of the rain we are kind of trapped at home in Mount Tremper and I couldn't think a better time to pop up the bottle we brought with us and enjoy the beautiful sight of the mountains from the porch. What we have with us is another bottle of Gordon & Macphail's The Macphail's Collection. This time it is an eight years old Highland Park. The label doesn't give a lot of information like other expressions from the same line but again its price in low thirties makes it pretty attractive. Color: Pale yellow, straw. Nose: Rubber bands and latex gloves with spoiled milk spilled on. Plastic shopping bags, burnt matches, diesel fuel from a plastic container and WD-40. Cured meat (maybe bresaola...), mint jello and eucalyptus cough drops. Actually eight years in a barrel is quite a long time and I think we shouldn't get all these immature notes. Most likely we have a second-fill barrel here. Palate: Vanilla extract, grease oil and burnt rice pudding. Young brie cheese, minty tooth paste gel, sulphur and alcohol burn. Finish: Medium long mostly because of young alcohol and some cracked white pepper corns. Overall: It noses and tastes definitely like a Highland Park but something is off with this dram. Feels like it found its way accidentally as a single malt bottling instead of being used in one of the Gordon & McPhail blends. I sure will drink it in (some) time since I am not one of those sulphur haters but wouldn't recommend to purchase the bottle despite of its very cheap price tag. There are many other good cheap bottles around.